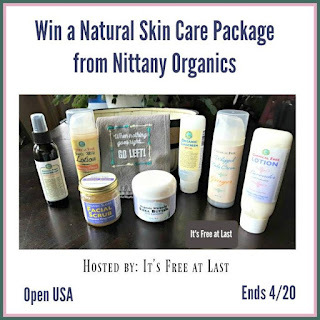 This giveaway is being hosted by It's Free at Last and sponsored by Nittany Valley Organics. I have super sensitive skin and about a million allergies--well not one million exactly--but enough!! Paraben is one of them so I am always looking carefully at labels to make certain there is NO paraben-not even a smidgen. I noticed that this product does not contain parabens and it is organic so I will probably give it a try. Of course I will have to make sure a variety of other natural stuff isn't in it. However--it looks promising!! NVO is dedicated to providing quality organic skin care products and organic health & beauty aids. We use only organic and natural ingredients – no chemicals, no parabens, no GMO’s – just the products nature provides. For more information on these and other products by Nittany Organics, make sure to read Sherryl's review here. 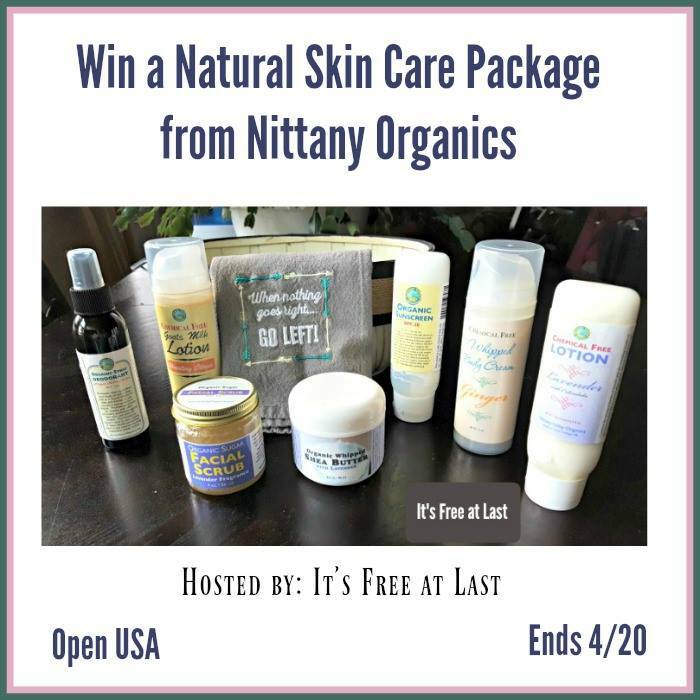 1 winner will receive a Natural Skin Care Package from Nittany Organics similar to the one above (products may vary per NVO selections)! The giveaway ends April 20, 2018 @ 11:59 PM EST. 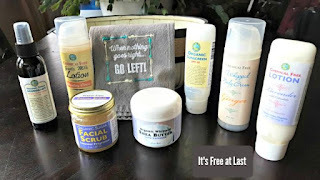 My best tip for maintaining healthy skin: exfoliate, exfoliate, exfoliate! My best tip is I wear sunscreen all year long. It is a facial moisturizer/sunscreen. Drink lots of water wash face twice a day and moisturizer twice a day. I drink lots of water and moisturize during the day! My tip is to stay hydrated. I wash and moisturize my face every day.